Business leaders in Bristol are being encouraged to enter one of the region’s top award schemes for recognising excellence and enterprise in the boardroom. 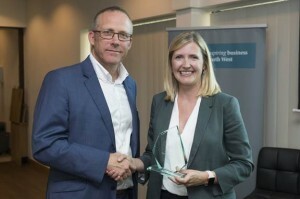 The Institute of Directors’ (IoD) South West Director of the Year Awards 2019 champion outstanding leaders and entrepreneurs and focus UK-wide attention on success in the region. Over recent years the prestigious awards have been won by some of Bristol’s top business figures – which means they have then gone on to represent the region in the national IoD Director contest. Last year UWE Bristol pro vice-chancellor Donna Whitehead landed the inaugural New Director Award. Two new categories have also been added this year, recognising Young Directors and Directors of a business with a £50m-plus turnover. They have been added to the existing categories of Start-Up, Small-to-Medium (up to £50m turnover), Public Sector, Not for Profit/Third Sector, Innovation and Corporate Responsibility. There is also the Chair’s Award for Excellence in Director and Board Practice. Award nominations are now open to anyone working at director level in any type of business or organisation – they do not have to be an IoD member. Bristol Business News and its sister titles Swindon Business News and Bath Business News are once again media partners for these coveted awards. “Whether you’re leading in a private, public or third-sector organisation, we’re keen to spotlight the achievements we’ve been making in our region, and the back stories that go with those achievements. The deadline for entries is March 31.